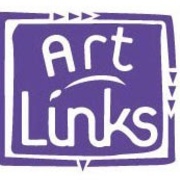 Art Links, a non-profit organization is committed to the concept that art is a basic component to learning and every child should be given opportunities to explore the arts. Founded in 1996, Art Links provides free bus transportation annually for approximately 25,000 students from 186 economically disadvantaged schools throughout the Greater Cincinnati area to over 20 local arts venues. Our mission is to make arts a reality in the lives of as many disadvantaged students as possible at no cost to the students or the schools. Here are just a few of the teacher comments.